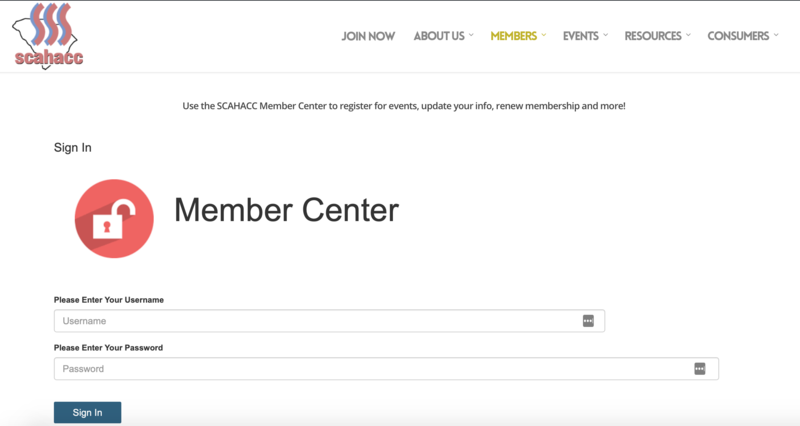 Please Note: The below link will take you to a new registration platform for SCAHACC. If you are a member you will need to login first to ensure you receive the member rate. Your username is your first name.lastname. If this is your first time logging in you will need to reset your password. 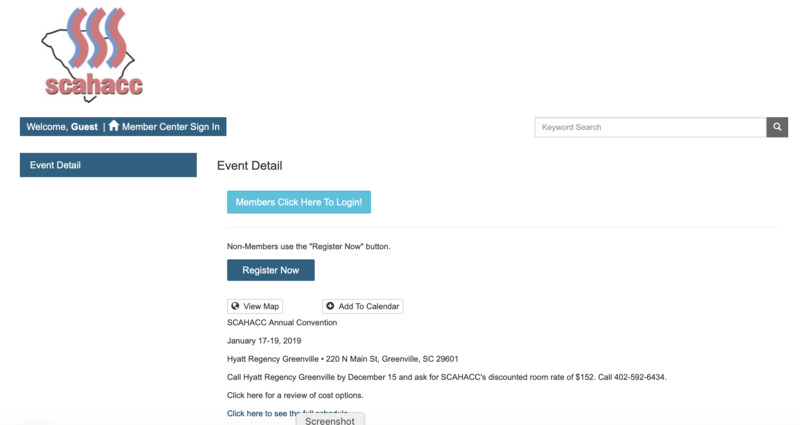 If you have any questions, please call SCAHACC headquarters at 800-395-9276.